Why is the network loadbalancing policy so important? Last week I returned from my vacation and had allready a lot of tasks waiting for me. One of them was to add some new ESXi-server to a persistent cluster. No problem, I thought. This will be a quick task after my vacation. After looking on the persistent esxi hosts, i’ve seen that they use LACP/etherchannel as network configuration, a lot of VLAN tags and so on. With this information I went to our network provider and gave him the needed information. After a hour I recieved an email with the confirmation that the network was ready. 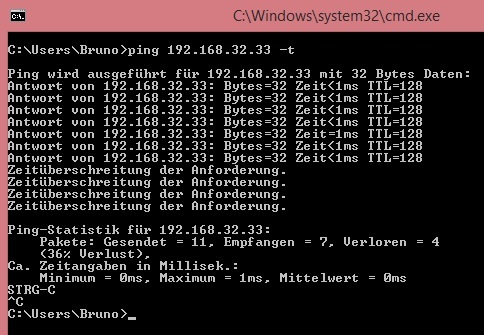 Now I began to test the network by removing one vmnic and trying to ping the VMs on the ESXi server. Every time I removed one vmnic, I loosed the connection to the VMs on the ESXi server. So i tried all possible configurations on the ESXi server but I never had a successful fail over on the network. After trying everything on my site I was quite sure that the network guys did not configure the switchs as I’ve told them. So I went there and we looked at the configuration. 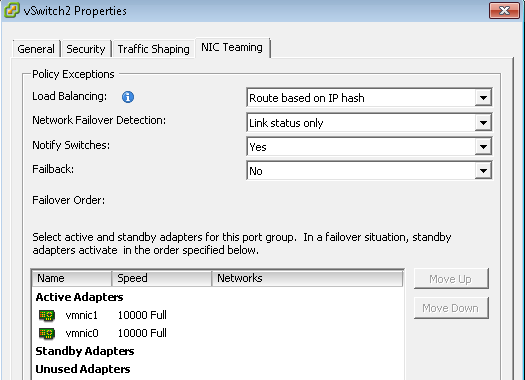 They did forgot to activate LACP/etherchannel on the ports. They had no port-channel configured. This was also the reason why I loosed each time the connection to the VMs when I removed one vmnic. After they changed the configuration I tested it again and I neither loosed one ping when the network had to make a switch over. This is how it is proposed to run! While I was troubleshooting my problem I’ve found some interesting posts from other guys and from VMWare which I would like to share with you. They helped me to find out my problem.